The tradition continues but with an East Coast flavour for 2019! Known as the 1st party of summer, The Rotary Club of Barrie-Huronia continues the tradition of Fun, Food & Fellowship. 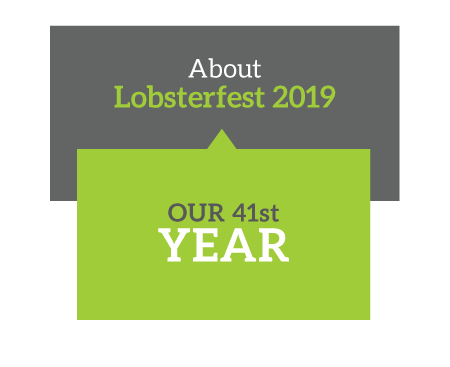 In its 41st year, the 2019 event promises to be the best yet with a new presentation of the traditional lobster served with a “down east” flavour. School is almost out, summer holidays are about to begin. The fellowship of friends and neighbours getting together over great food, great laughs and entertainment is what makes this event a must attend every year. Many find this “summer kick off” event a perfect way to show appreciation and thank employees and clients alike. The tradition of decorated theme tables for groups continues. Dress your party and dress your table with the wackiest theme you can think of! We do all the work while you sit back and enjoy a full evening of great food , great music and a great party. Lobsterfest has given back $750,000 to the community. 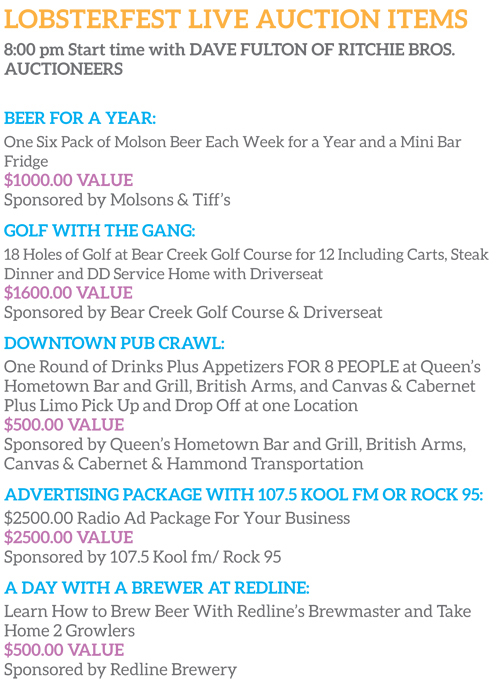 Lobsterfest is THE longest running 1st social party of the summer in Barrie.